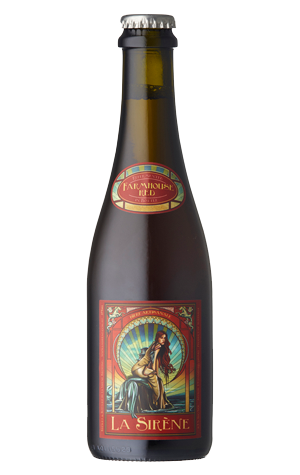 The original Farmhouse Red was the first beer to step a little outside saison territory for La Sirène, albeit remaining firmly within the boundaries of the French / Belgian farmhouse. For a long while, it was the only beer in their range of a darker hue, with the deep ruddy brew playing home to some "secret" floral ingredients and myriad aromas and flavours. Work your way through a bottle with friends and you could complete a Bingo full house even on a card as laden with descriptors as Ribena, rose hips, Turkish delight, nutty, dandelion, floral and much more besides.